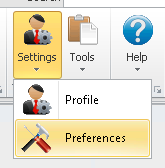 Select 'Contact, Company or Project' from the left navigation tree. Click 'Add' to add a Custom Field for Contacts. You can rename the newly added field by clicking the Field Name and typing a new name into the text box. You can change the Data Type to any number of types including 'Text', 'Number', 'Scientific', 'Boolean', 'Date', 'Time', 'DateTime', 'GUID', 'Combo (Box)'. 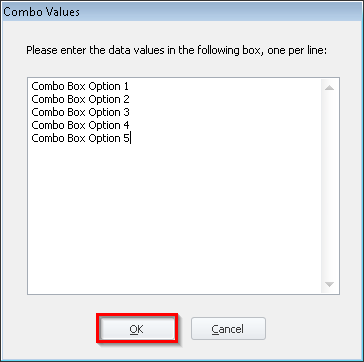 To change the values of the combo box, click the Data Values text box after selecting 'Combo' as your Data Type and the following window will appear. Type each of the values separated by a line break (Enter). 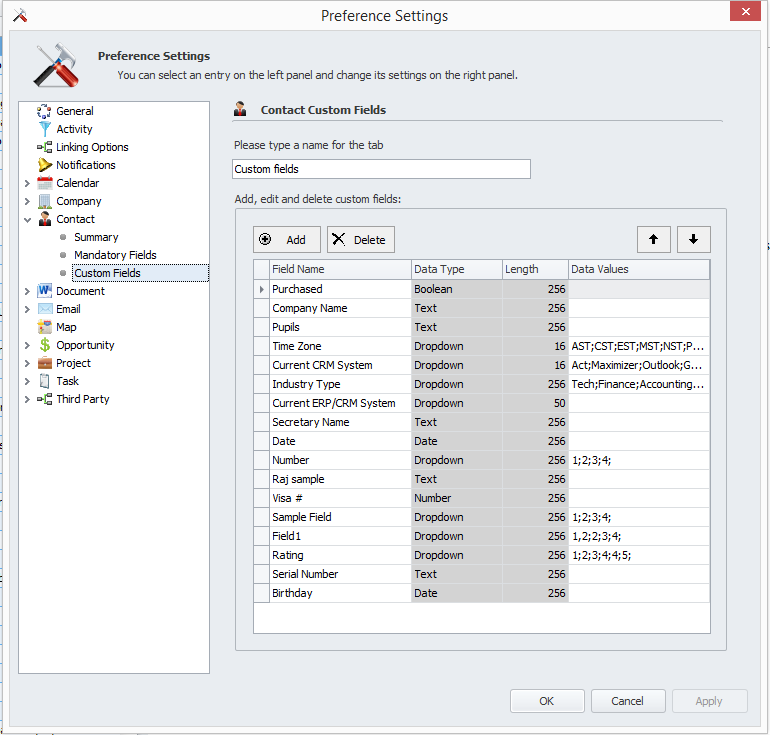 Click 'Company' to view and edit the Company Custom Fields. 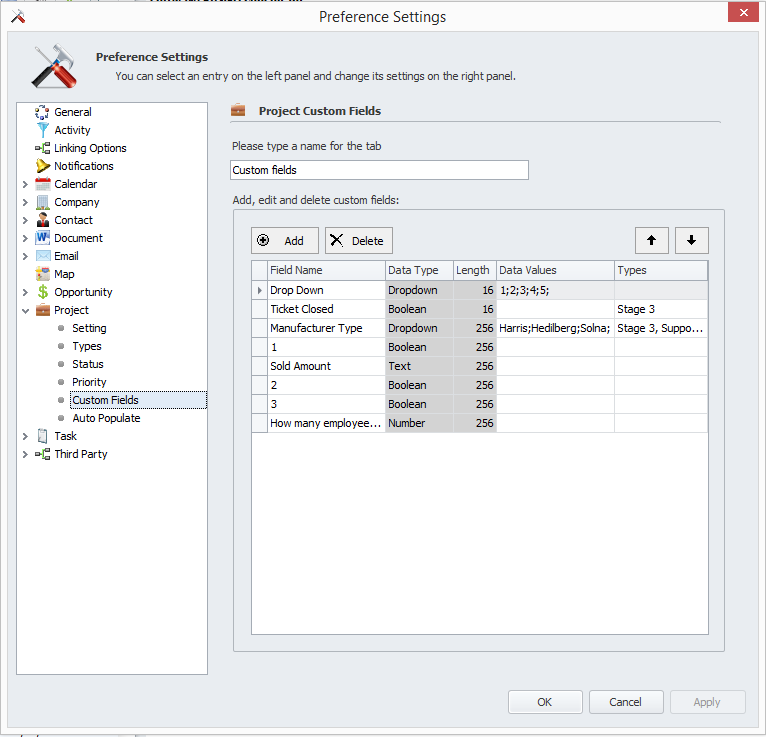 Click 'Project' to view and edit the Project Custom Fields. 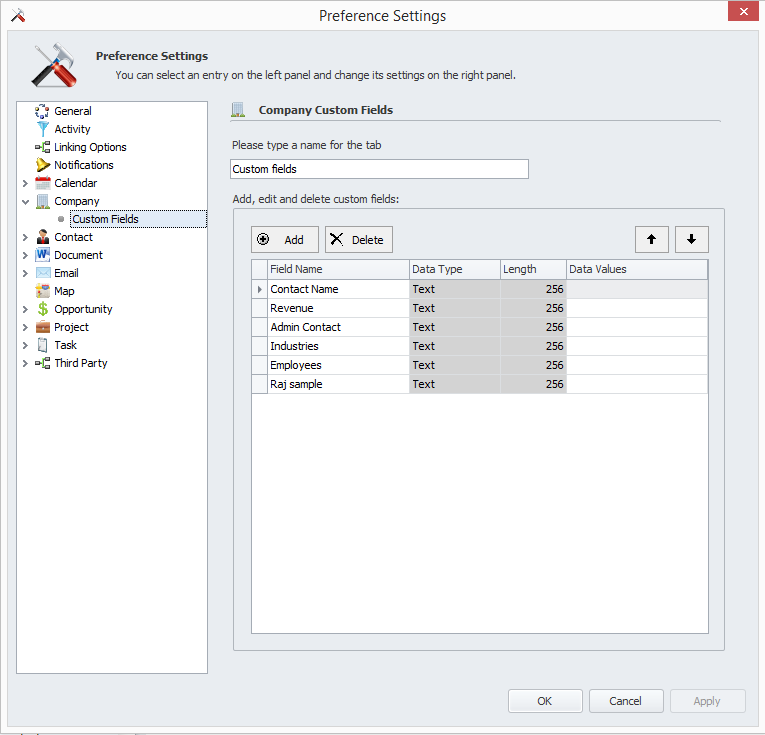 To change the order of the Custom Fields as it appears in the application, select the field you would like move and click the Up and Down Arrows. To remove a custom field, select the field you would like remove and click the 'Remove'. Your Custom Fields configuration is now complete.